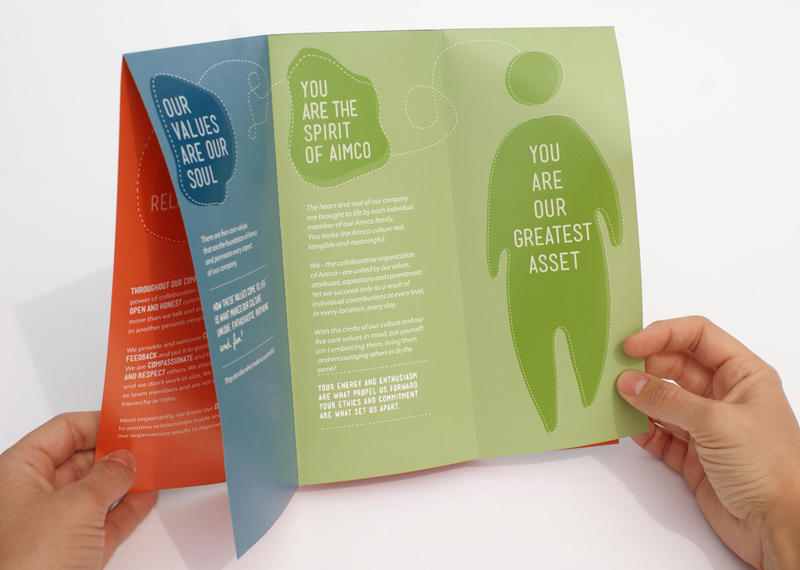 A brochure to launch Aimco's new corporate culture to their employees. 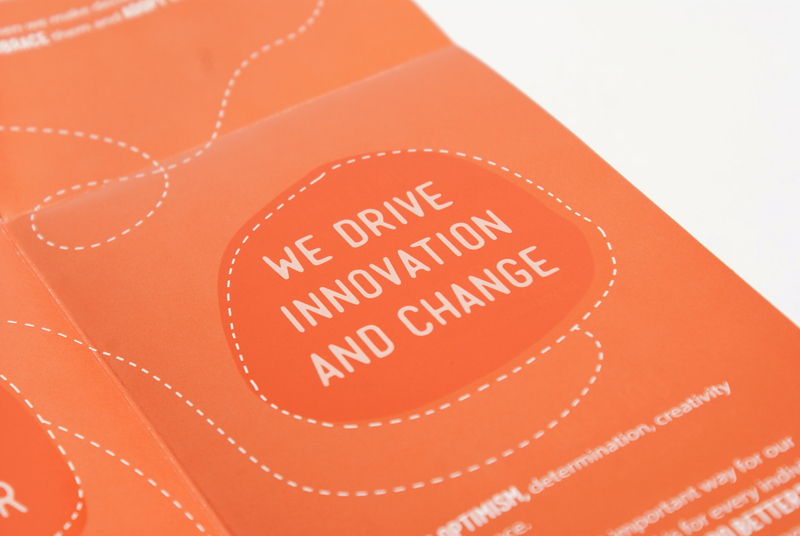 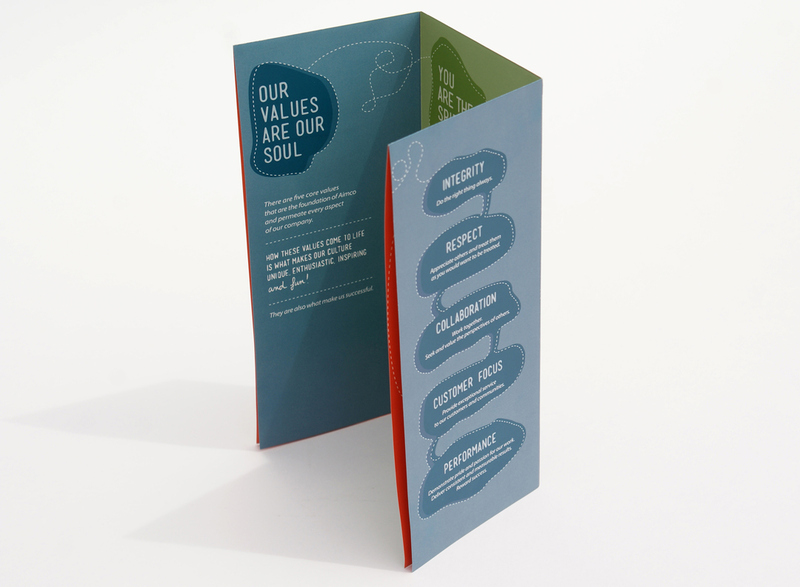 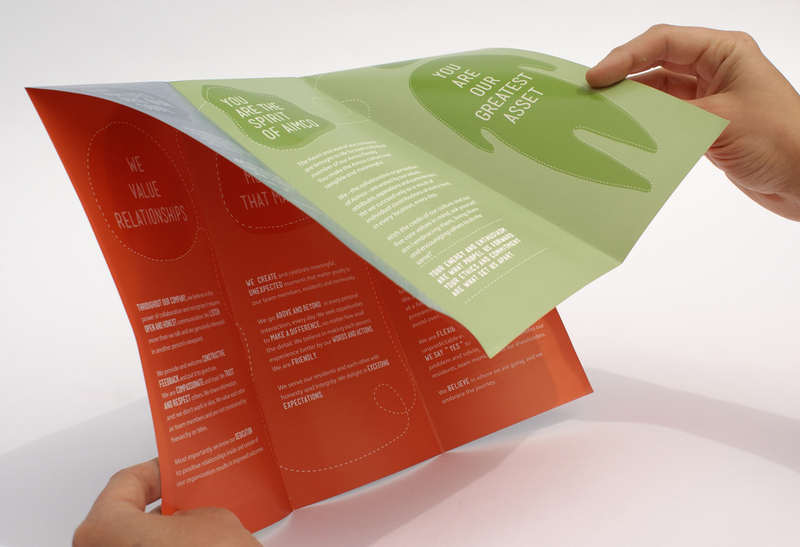 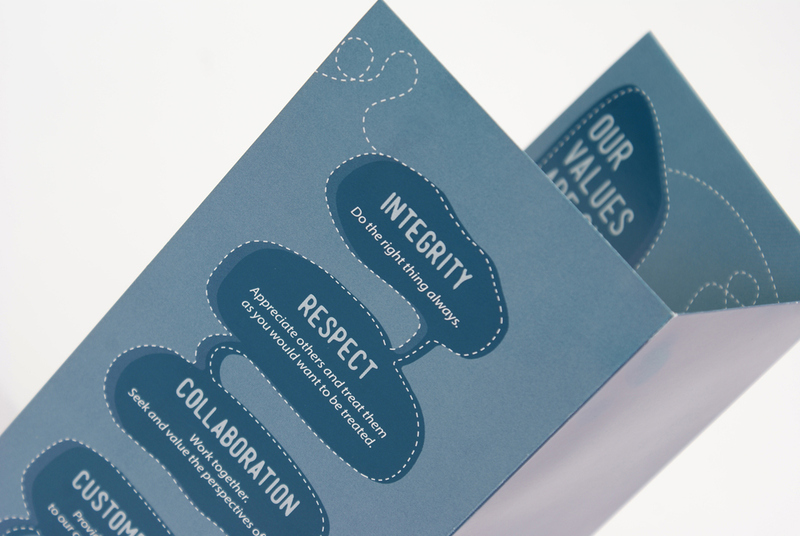 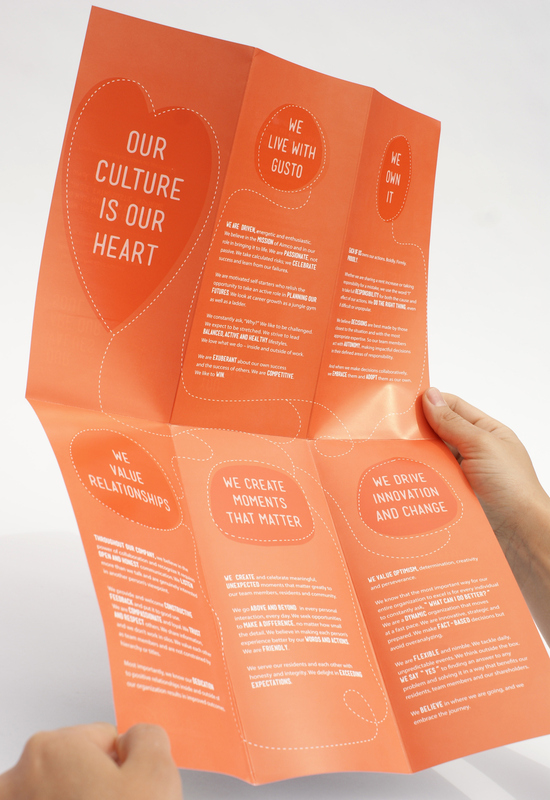 The brand colors are used on the outer part of the brochure to recap the company's mission and values: it's public image. 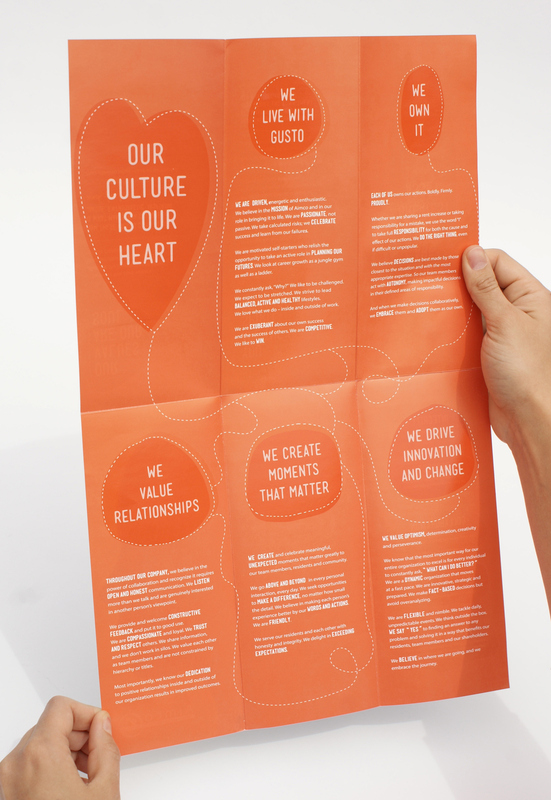 But once unfolded, the brochure reveals the company's inner personality, its heart, its culture.